On Saturday 14th of July we had our weekly club session. 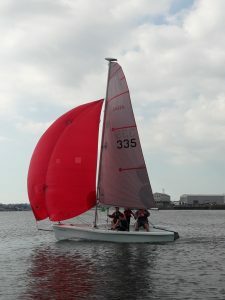 Unfortunately there wasn’t a lot of wind with a very strong tide, but we managed to play games with the dinghies and the Hawks went exploring out to sea, so fun was had by all. This up and coming Saturday 21st will be our last Saturday session whilst we have got the courses on. Thursday sessions will still be run as usual.